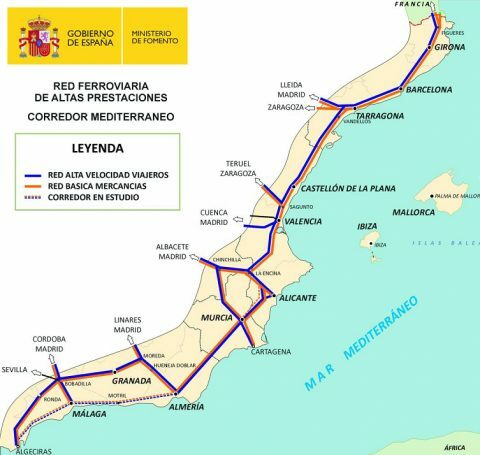 Spain will have a dedicated rail freight line with European gauge along the Catalonian coast. 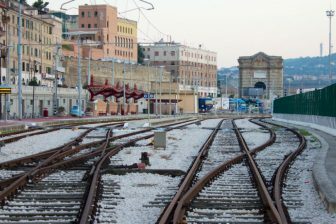 The Spanish Transport Ministry has decided to develop a new rail track from Castellbisbal, in the south of Barcelona province, and Tarragona. The new railway line will be the third track in the area and it will be dedicated for rail freight services, contrary to the existing lines which are for mixed use. Once the third line is complete, the existing lines will be for passenger services only. 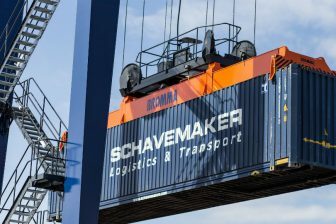 The freight line will propel the completion of the Mediterranean corridor from Almeria, in Southern Spain, to Catalonia. Its budget totals 14.9 million Euros and it will be 90 kilometre in length. The line was demanded by chemical factories in Tarragona, as it enables direct export to France. At the moment, cargo must be transferred from Iberian gauge to European gauge in Portbou, on the Spanish-Franco border. The plans were initially announced under the former government in 2012, but the tender was cancelled due to budget cuts. It is expected that cargo from Tarragona to France will jump from 507,000 tonnes annually today to 4.3 million tonnes in 2030 due to the new track. 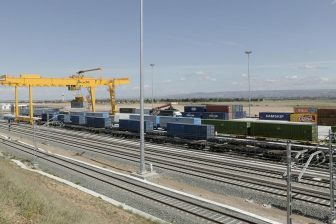 The railway line will also be connected to the upcoming railway track from Tarragona to Vandellos, where electricity companies Endesa and Iberdrola have two nuclear plants. This railway line is projected to be completed in 2020. However, the project may be cancelled as the current Spanish government has decided to close all Spanish nuclear plants in the 2020s.